YOUNGSTOWN - Funeral services will be held Thursday at 9:30 a.m. at the Wasko Funeral Home, followed by a Mass of Christian Burial at 10 a.m. at the Christ the Good Shepherd Parish at Sta. Rosa de Lima Catholic Church, for Andrea Cruz, 77, who passed away Saturday. 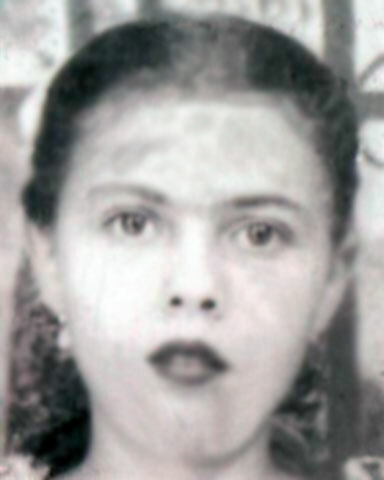 Andrea was born Feb. 4, 1937, in Cayey, Puerto Rico, the daughter of Praxcedes Millán Llevas and Rita Merced Colón. Andrea was a member of Sta. Rosa de Lima Catholic Church, where she served as a lector during Mass. She was also active in the Legion of Mary and the Neo Catecumeno. Andrea loved to bake, sew and sing. She most enjoyed being a helper of the community and anyone that needed anything, she was there to provide. Andrea leaves to cherish her memories her husband, Melquides Cruz, whom she married March 1, 1955; her daughters, Liduvina (Raul) Irizarry of Youngstown, Ida Evelyn Cruz of Cayey, Puerto Rico, and Ludaeina (Julio) Reyes of Youngstown; 10 grandchildren; 20 great-grandchildren; and her siblings, Angel L. Millán, Alfred Millán, Agustina Millán, Rustico Millán and Adrian Millán, all of Puerto Rico. She was preceded in death by her parents; a grandson, Jose Luis Quintona; and her two brothers, Heraclio Millán and Maximino Millán. Monetary donations may be made to the funeral home to help defray funeral expenses. The Cruz family has entrusted their loved one to the care of the Wasko Funeral Home and will receive family and friends Wednesday from 5 to 8 p.m. at the funeral home. Please share your memories of Andrea.